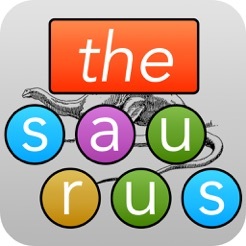 TheSaurus is an interactive visual thesaurus. When you search for a word, the word and its synonyms are presented as a graph. The word node that was searched becomes the root of the graph and is centered in the middle. 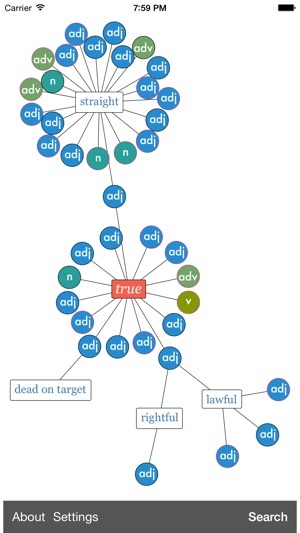 Word nodes are connected to meaning nodes. 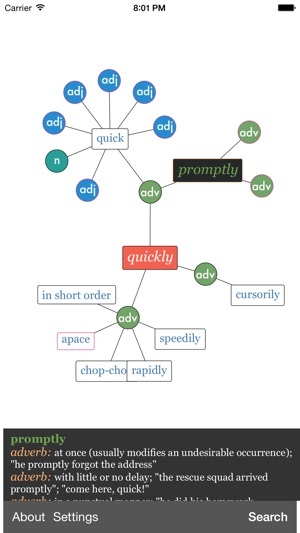 A meaning node can be a noun, verb, adjective, or adverb. Word nodes themselves are defined by the set of meaning nodes with which they are associated. If two word nodes are connected to the same meaning node, then those two word nodes will have that meaning in common. If you tap on a node, you will be presented with the node's definition. Since a word's definition is its set of meanings, all of its meanings will be presented when it is tapped. By default, the graph only shows a limited number of nodes at a time. If a node has neighbors that aren't currently displayed, it will have a magenta outline. Tapping on one of these nodes will expand the graph to show that node's neighbours. Great VISUAL Thesaurus! Just get it if you love words! As a Mac user I still get by using Visual Thesaurus, but didn't have a solution for my phone until now! 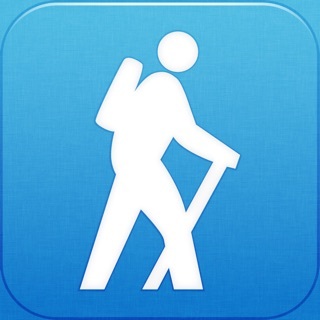 Love this app! Use's Princeton's Word library which is a good standard to build from. Love that the app is dynamic and words move in their own bubbles. Little details like showing word form N for noun, V for verb, the ability to zoom and re enter on different word bubbles, shake to go random, and so much more. Thanks for a great app and please keep the updates coming! For those who strive to express themselves by using the English language in all its color and nuances this is a must. 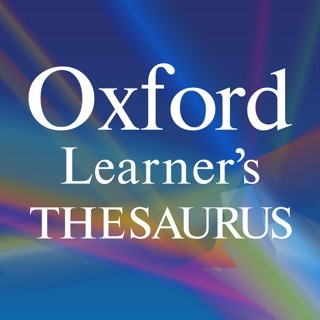 I have the Visual Thesaurus on my Mac but, with the advancement of mobile technology, I now use my phone for nearly everything. 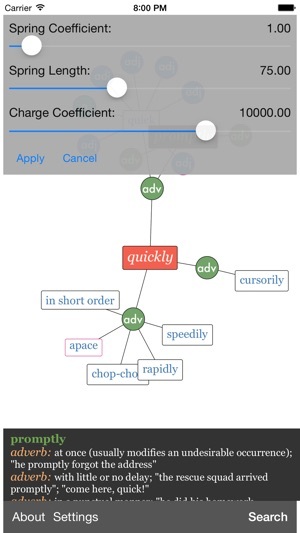 I have missed this kind of visual representation of the relationships of words - until I found this app. Find "le mot juste." Add this to your phone. 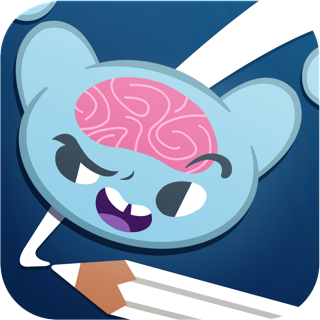 I used thinkmap visual thesaurus in my computer for a long time but was looking for a phone app that would give me the same features. This app works pretty much the same. 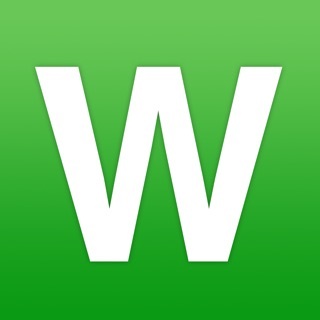 It's not as robust but it's a great app. Definitely recommended.